Caption slip reads: "Photographer: Snow. Date: 08-25. Reporter: Kline. Assignment: Balzer. 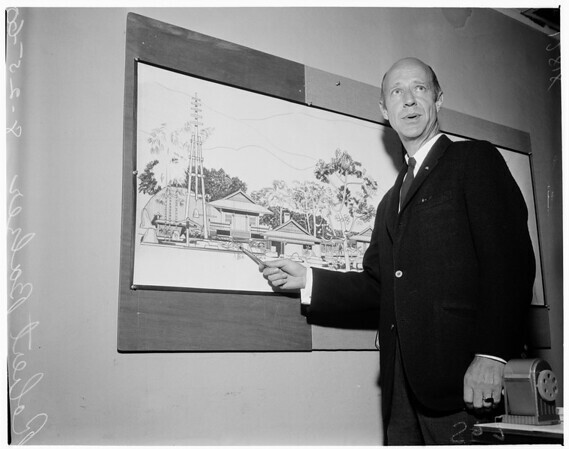 Robert Balzer with drawing of Buddhist temple he is building."